MOTORCYCLING MEMBERS of the Royal British Legion toured North Wales to help launch this year’s poppy appeal – then enjoyed a mess tin lunch at Llandudno’s Troop Café veterans’ hub. Dozens of the RBL Riders visited war memorials in Wrexham, Bala, Porthmadog, Caernarfon and Llandudno on Sunday, holding a short service at each as part of their annual remembrance rally. The group – made up of members from the North West and North Wales branches – had already toured Port Sunlight, Little Sutton, Wilmslow, Crewe and Northwich as part of their annual event. 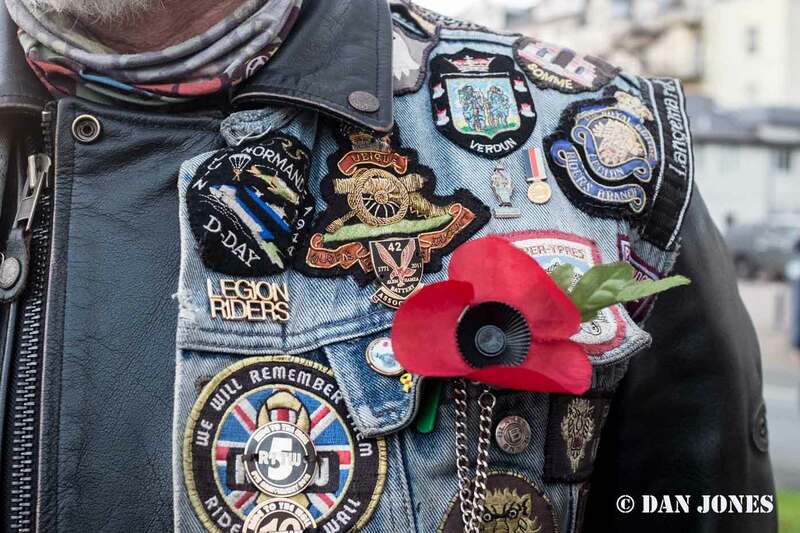 Barbara Hignett said she and her fellow motorcyclists enjoyed promoting the annual poppy appeal and fundraising in support of the Royal British Legion. Troop Café supervisor Paula Jacobs said hosting a chicken stew lunch for the group had made for a “great day”. The visit was hosted by the North Wales district of the RBL, and attended by Mayor of Llandudno Cllr Francis Davies. “The riders are a worldwide organisation and raise thousands of pounds for the Royal British Legion,” said chairman Peter Kingston. Run by the award-winning CAIS Social Enterprises, community veterans’ hub Troop Café hosts peer mentors from support project Change Step — as well as tasty food, drinks and snacks to the general public. The café also provides catering and hospitality training to former members of the forces and others.